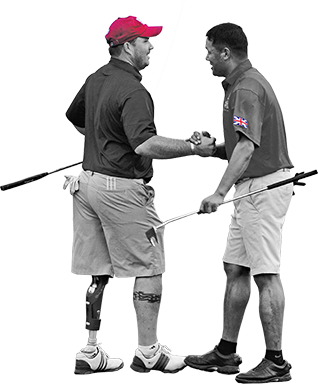 The Simpson Cup is an annual Ryder Cup styled tournament between teams of 13 injured Servicemen and veterans from Great Britain and the USA. …Team USA makes it three in a row with an 11-8 win at the Maidstone Club in 2018 and leads the series 4-3! …Team USA retains the Simpson Cup with a 13-5 win at the Royal Birkdale Golf Club in 2017 and squares the overall series 3-3!